There are loads of benefits to owning an iPad, some of which are not immediately obvious. Sure it’s great that we can work on the move and record HD videos but what we really want to do is keep our pets entertained. The iPad 2 may cost somewhere in the region of $400 but this hasn’t stopped people buying them as unusual gifts for their pets. You might be wondering what an animal can use an iPad for but there are loads of things they can do with one, although you might have to help them switch it on! In recent months hundreds of iPad owners have uploaded videos to YouTube of their pets playing with the devices. It seems that cats are particularly fond of virtual aquariums and if you want to see this for yourself MyReef 3D is probably the best app to download. Your cat might scratch your iPad to pieces but at least it will stop him from eating the goldfish! This is something Will.i.am did during a performance at the American Giving Awards in December last year. He and his backing dancers attached iPads to their heads which were playing videos of themselves. It seems a little pointless to use a video of yourself, but the rest of us could have a lot of fun impersonating our friends or even celebrities. The trouble with normal face masks they don’t move so you’re never going to be able to convince someone that you’re the real deal. But using a moving video could work. Admittedly the tablet strapped to your face might be a bit of a give a way but I reckon you’ll get away with it if you put your hood up or wear a big hat. Attacking an expensive glass faced gadget with a knife doesn’t sound all that sensible really does it? But the iCut Interactive Cutting Board is actually really useful, providing you go carefully of course. Say you’ve got a loaf of bread or a cake that you want to cut into equal portions. All you have to do is place it on your iPad select the number of people and cutting lines will appear on the screen that you can follow. It might sound stupid but the glass is actually pretty tough so you should be ok.
There’s so much you can do with an iPad 2; the only real limit is your own imagination. 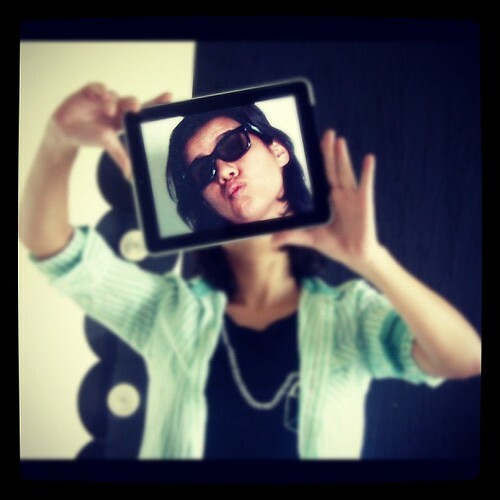 I like the idea of buying Ipad ‘coz it can be useful in uploading any videos in the internet. But I think the Ipad thingy gonna be the last one in my list but thanks for this info. It encourages someone to buy one. i have my choice now and the idea of buying Ipad ‘coz it can be useful in uploading any videos in the internet. But I think the Ipad thing gonna be out of my budget i need to save money first but really i thank for the post cause It encourages me to buy one. When I first saw the title for this article, I thought it was going to have a list of cool apps that can be put on the iPad. Who would have thought that anyone would actually let their CATS play with such an expensive toy?! That shouldn’t be too surprising though, given the fact that nowadays animals are treated as more of family members than pets. Even so, if I were to pay that much money for an iPad, you’d better believe I’d do anything in order to protect it even from a tiny scratch. I guess with all of the helpful apps out there, there is really no limit to what can be done with in iPad. The cuttingboard app sounds cool, but I’d still be freaking out if there was a sharp object coming within a few centimeters of the iPad, not to mention all of the crumbs! I suppose it’s a really durable product. And, if people are going out and buying these expensive toys for pets, to stick them on their faces, and shopping up some wheat bread, I’d say the economy is doing fine. Awesome post, really love this post, i have an iPad and this is really cool to read more and more about this product. Thanks for sharing. Oh my Gosh! Even if I had all the money in the world…I would never do such stuff with my iPad. A ball of wool will do just fine for my cat. And why do you need to cut cake into equal pieces..you should cut it according to the eater’s requirements. Anyway..just saying..
Haha…Very funny. Really enjoyed this post. First one is most interesting. The pets are getting more intelligent with the new technology. It is hilarious! 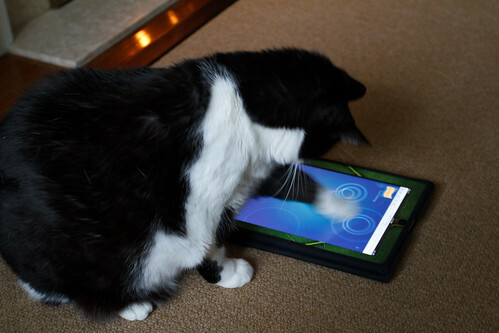 But I bet someone will do a study on how using the iPad will improve your cat’s health. You made my day. Cat Fishing!!! What I love about iPad is that I can use it for Skype. and I can upload and download music and videos too! It’s very portable and I can enjoy playing some games too! It just reminded me of the cat i saw in a video who is playing the fruit ninja. That was really funny.. This is madness. I don’t own an Ipad myself but always wanted one and not to give it to my cat or cut some veg on lol. Apple really have covered everything, it’s crazy. Great post! The benefits to owning an iPad is that you can used a lot of useful apps that you like. And you can download your favorite musics and videos etc. Thanks for the info and for sharing this to us. It is pretty crazy how many uses there are. Although I agree with Ryan that I personally won’t be cutting any food on my iPad, the new uses people come up with is truly amazing! and I think it’s will be toys of my child too. That’s freaking awesome. Ipad for your pets. Lol. my sister got her Ipad last november, and sometimes i borrow it just for fun. I am so amaze that you could download magazine, books, music and games. what i really enjoyed right now is Temple run. It’s so cool. Go by a Best Buy near you and they usually have one on display that you can mess with. I wish I had the money right now to get one.I will wait and see what the second generation pads are like. I quite like the iPad but I would prefer to have a pull out keyboard, a webcam and at least 2 USB ports. Haha these are so creative! Awesome thinking. I never looked at iPad that way..Face mask. I’m too scared to let my dog play with it though, he might scratch or break it. I find it hilarious when my dog tries to play with my keyboard though! Lol. When I got my new iPad, I found it makes my life colorful! All you want to know more about recipes,net surfing,emails,viewing and photo storage,music,games,etc. you can find it here in this handy and friendly gadget! This is a wonderful site where we are getting more information. I have been talking with my friend about, he though it is really interesting as well. 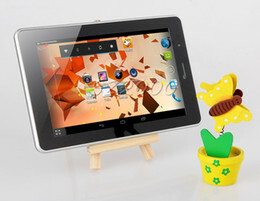 iPad is one of the most leading gadgets today because a lot of people use this and want this. And also, this is great gadgets because not only people use this but also animals. Great post, Brian, and very relevant to some. I am really inspired by this post lovely post especially i loved to read first technique. Ok, despite the fact that I won my iPad in a contest and didn’t have to pay for it, I still don’t think I’ll be using it as a chopping block anytime soon. *lol* However, the fish aquarium idea is another story. That might be just what I need to keep my two cats from getting into trouble. They can chase fish instead of climbing on the curtains.